Rob Shuter Archives - Africa M.E. JOHANNESBURG (Reuters) – South Africa’s Black Management Forum (BMF) said it was disappointed by the appointment of white South African Rob Shuter as MTN Group’s new CEO and viewed it as a serious blow to giving blacks a larger role in business. The forum, which lobbies for black rights, criticised the mobile phone operator’s decision saying it was retrogressive to plans for the inclusion of blacks in corporate boardrooms in Africa’s most industrialised country. Shuter was named on Monday as the replacement for Sifiso Dabengwa, a black executive who resigned last November after Nigeria imposed a fine on MTN for failing to deactivate more than five million unregistered SIM cards. 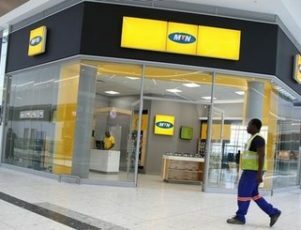 MTN spokesman Chris Maroleng had no immediate comment but said the company would respond later via an emailed statement. Founded with the government’s help after the end of apartheid in 1994, MTN has been touted as one of South Africa’s biggest corporate success stories with operations in more than 20 countries in the Middle East and Africa. Since coming to power at the end of white minority rule, the African National Congress party has pushed for change in the complexion of the civil service, the military and state-owned firms, as well national sports teams and private businesses. The push has helped many South Africans who were excluded from the mainstream economy under apartheid and created a solid black middle class. MTN executive Phuthuma Nhleko, also black, was appointed interim executive chairman following Dabengwa’s resignation, with an eye to renegotiating the Nigerian fine which was initially set at $5.2 billion. In the end, MTN agreed this month to pay a 330 billion naira fine ($1.2 billion) and to list its local business on the Nigerian Stock Exchange. MTN is the largest mobile phone operator in Nigeria with 62 million subscribers and the country accounts for about a third of its revenue. Nhleko will revert to his role as non-executive chairman when Shuter starts as CEO, which is expected to be by July next year at the latest. Shuter, who has a background in risk management, will be joining MTN from rival mobile operator Vodafone, where he is currently head of Vodafone Europe.